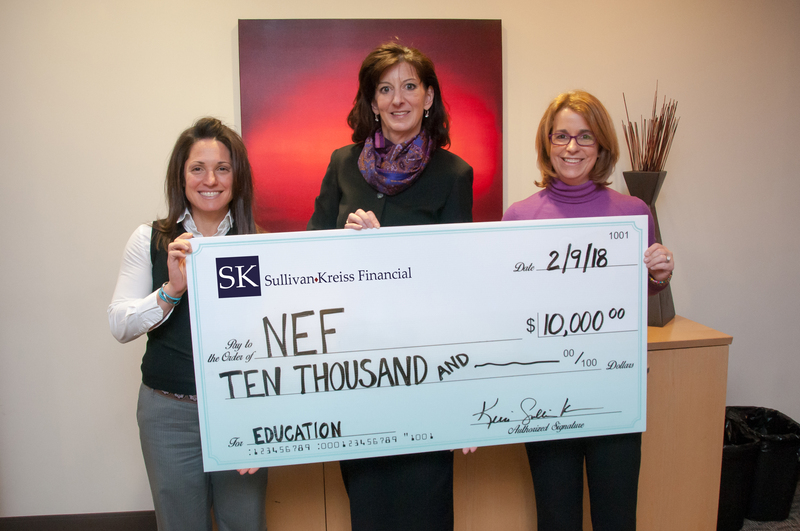 NEF is proud to announce that SullivanKreiss Financial, Inc. has become our 2018 Platinum Sponsor with a donation of $10,000.00. SullivanKreiss Financial, Inc. provides superior, independent wealth management and investment advisory services to affluent and emerging affluent individuals and their families. To learn more, visit www.sullivankreissfinancial.com. NEF is grateful for this generous donation which will help fund grants that will improve curriculum, programs and services above and beyond the level supported by the annual school budget.